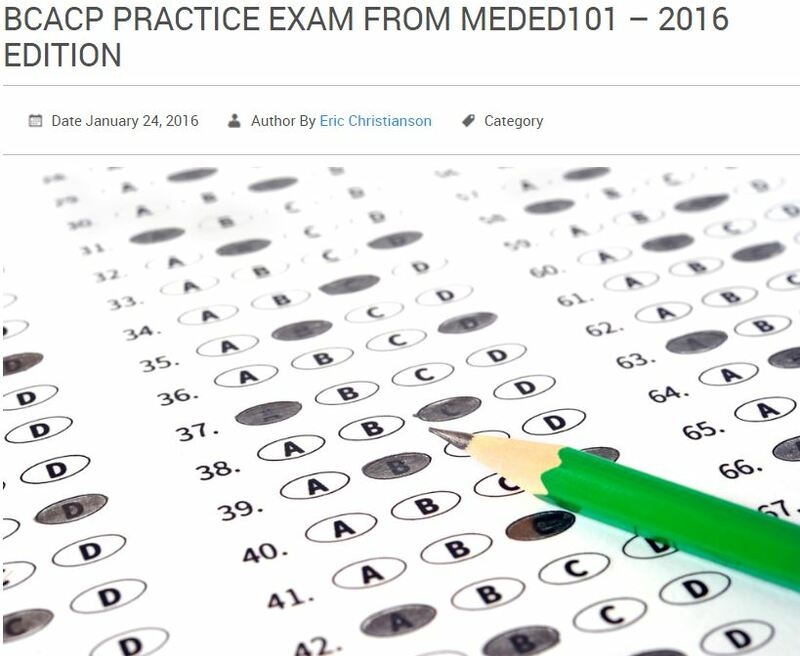 Preparing for the BCACP exam – A Special Offer from MedEd101! Board certification for pharmacists is rapidly becoming a standard for specialization in any of the many clinical career paths for pharmacists today. The process and study involved help differentiate pharmacists that want to improve their grasp of the pharmacotherapy for a particular type of health care setting. As such, many pharmacists are asking about this process and want help preparing for the exams. That’s where my friend and pharmacist Eric Christianson comes in. Eric is a clinical pharmacist and author of the very helpful blog and website: www.MedEd101.com. Eric has created a brand new study guide for the BCACP exam, and I’ve invited him to talk to us about it AND he shares a DISCOUNT code at the end to save you 20% if you purchase the material by July 31! 1. Eric, welcome back to The Honest Apothecary. Could you start by reminding our readers a little bit about yourself and your pharmacy career? Absolutely, but first, I just want to thank you for the opportunity. For those of you who don’t know, Jason has been a huge supporter of my blog and efforts to improve clinical pharmacy education. I emailed him early on when I first started and he was incredibly supportive and helpful to me personally. My background: I work primarily as a clinical pharmacist. My sweet-spot would have to be ambulatory/geriatric pharmacy. I have consulted in long term care, assisted living, home care, and in the clinic setting primarily. I have two kids and a fantastic wife who keep me pretty busy, but when I’m not spending time with them, I’m incredibly passionate about my blog meded101.com where I primarily blog about clinical scenarios, case studies, and board certifications. 2. What, exactly, is a Board Certified Ambulatory Care Pharmacist? How is this different from other BPS certifications? From the BPS webstie, “Ambulatory Care Pharmacy addresses the provision of integrated, accessible healthcare services for ambulatory patients in a wide variety of settings, including community pharmacies, clinics and physician offices.” Ambulatory by definition: relating to or adapted for walking. – BCACP is a very broad designation and covers a lot of topics. When comparing it to other board certifications, it might be easier to describe it by what it isn’t. By the numbers, the most common board certification is BCPS. BCPS is also a very broad designation but what separates BCPS from BCACP is the “walking”. BCPS contains a small portion of ambulatory, but in general is a designation more slanted toward the inpatient/hospital side. A few examples of the classic problems that a BCACP would be well versed in; diabetes, asthma, pain management, hypertension etc. 3. What type of pharmacist would benefit most from becoming a BCACP? I’ve been asked this question a lot by pharmacists through my blog. I always fully disclose that I sell board certification study material. I will also state that I became board certified long before I even thought about selling study material. 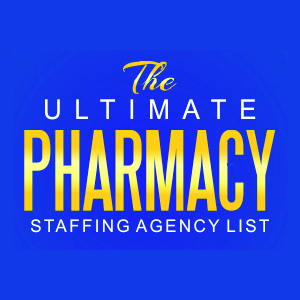 I know there have been some pharmacists who have been frustrated that the PharmD alone is not enough anymore. Some may not like it, but that is the reality. If you go look at job postings, (especially highly clinical ones) you will note that for the majority of them, some sort of board certification will be “required” or at a minimum “recommended”. Pharmacists who work in a community pharmacy, clinic, home care, assisted living, and medical home type setting would likely benefit the most from the certification. 4. So what exactly is the process of becoming a BCACP? 5. How did you go about creating your practice exam for this certification? I learned a lot from creating my first practice exam for the BCPS. I involved other pharmacists (BCACP certified) in the process to help with question creation and editing the exam. They also gave great feedback on what study materials they used. I started with a list of topics from the content outline and tried to make sure that we covered every topic accordingly so people could best target topics they feel comfortable with and those that they need to study more. These are not “easy” exams and between 35-40% of pharmacists fail. The pass rate for BCACP was 60% in the fall of 2015, which surprised me that it was actually slightly harder than BCPS (65% pass rate). From feedback I’ve received, I feel that we’ve done a good job of creating a valuable resource that have helped pharmacists pass this exam. 6. What other resources would you suggest pharmacists use in preparation for this exam? 7. How can someone purchase your BCACP practice exam and what does it cost?